Transition metal oxide nanoparticles have applications in many areas including cancer treatment, environmental cleanup, catalysis, and gas sensors. 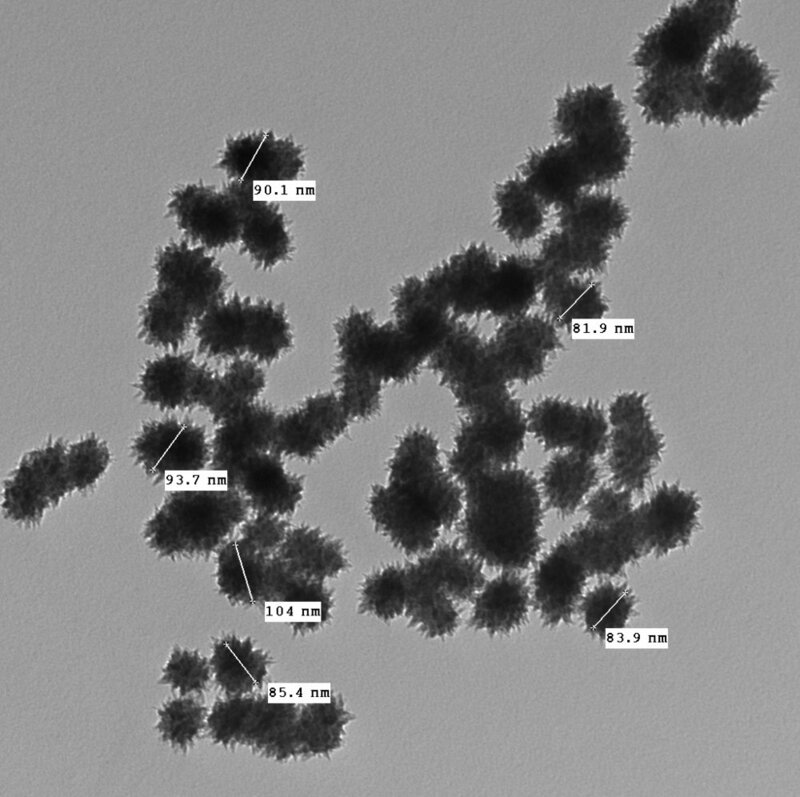 Traditional methods used for the synthesis of these nanoparticles include hydrothermal synthesis, the sol–gel technique, laser-induced pyrolysis, sonochemical methods, and spray pyrolysis. For many of these methods the mechanisms of particle formation are poorly understood, and the final particle size and distribution are not well controlled. As the properties of nanoparticles can be strongly size-dependent, better control of the size distribution is desirable. The chemical environments created by γ-radiolysis are ideal for the production of chemically pure nanoparticles. Gamma-radiation decomposes water molecules to a number of species including some very powerful reducing (·e-aq, ·H) and oxidizing species (·OH, H2O2) which drive the solution redox reactions that produce the nanoparticles. These redox active species consist only of H and O atoms. The reactive products (such as ·OH and ·e-aq) recombine to reform water upon termination of irradiation and hence leave no unwanted chemical wastes. We used this method to produce magnetite (Fe3O4) nanoparticles from dissolved Fe(II). The mechanism summarized in the diagram below was determined by measuring the change over time in concentration of Fe(II) and Fe(III) in solution and characterizing the nanoparticles formed using electron microscopy and various spectroscopic techniques. Note that this method makes use of both the oxidizing and reducing power of water radiolysis products, whereas most gamma-induced nanoparticle synthesis uses only one or the other.